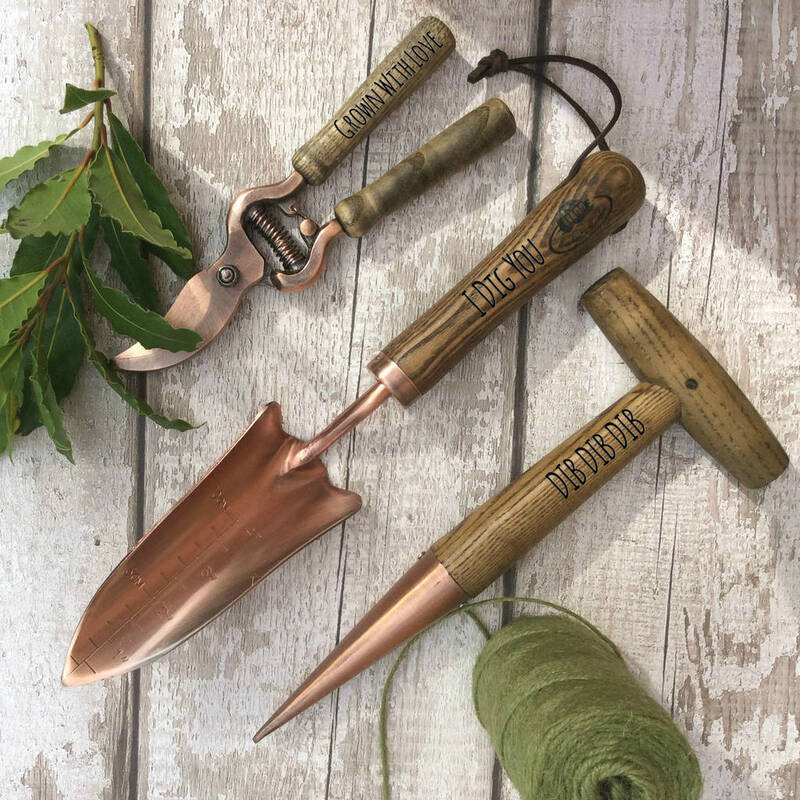 The perfect gift for the style conscious gardener. Everyone needs these tools in the garden and how wonderful to be given the whole set which comprises as pair of secateurs, a dibber and a trowel. 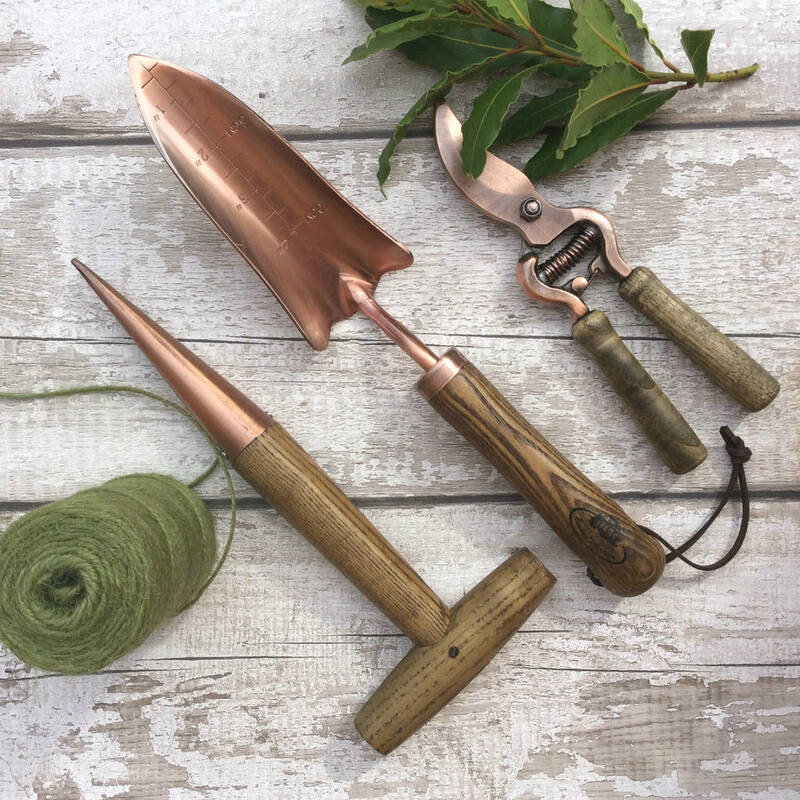 Each one is copper plated steel and sturdy and well made for the jobs they need to do. Each handle can be personalised with a name or a short message to make it a unique gift.